Ellie Merrick, a 5th-grader at Southern Delaware School of Arts in Selbyville, won the 2019 Poster Contest. The Delaware Forest Service sponsors an annual Arbor Day Poster Contest for Delaware school children in grades K-5. Poster contest information is announced in January, with awards presented in April/May during our annual Arbor Day Ceremony. 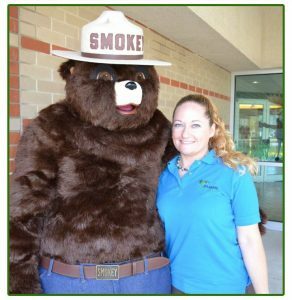 The Delaware Forest Service also distributes free pine seedlings annually to Delaware elementary school children on a first-come, first-served basis. The Arbor Day Poster Contest is designed to teach students about forests and forest resources. 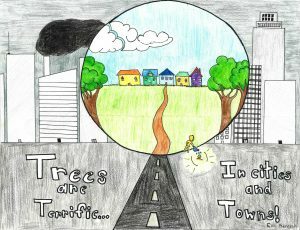 Participating in the poster contest is a way to learn more about the role of trees and their direct impact on the health and well-being of Delaware residents. This year’s theme – “Trees Are Terrific…in Cities and Towns!” – was chosen to highlight the benefits of trees in our communities. Ellie Merrick, a 5th-grader at Southern Delaware School of Arts in Selbyville, is the overall State Winner of the 2019 Arbor Day Poster Contest. Posters were judged on originality, use of theme, neatness, and artistic expression. A winner was chosen in each county (New Castle, Kent, Sussex) in the following grade categories: kindergarten, grades 1-2, grades 3-4, and grade 5. 2019 Delaware Arbor Day Poster Contest Winners. For school presentations, our staff will customize the presentation to any specific grade level. 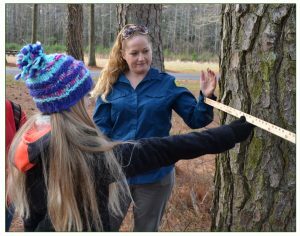 The Delaware Forest Service strives to integrate Project Learning Tree (PLT) activities into daily classroom lessons. This award-winning environmental education program is designed for educators who work with students in kindergarten through grade 12. Contact us at the email address below to learn more about how this program can benefit your school.